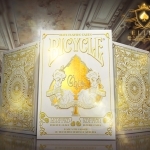 When something works, why change it? 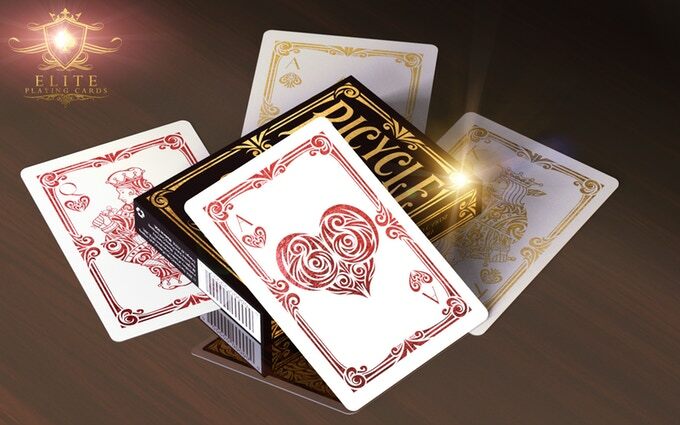 Just by showing the images of this new deck, any playing cards fan will safely recognize the style and the name of its creators. 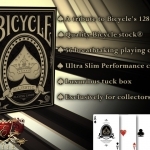 This new deck lives up to its name: BICYCLE DELUXE. 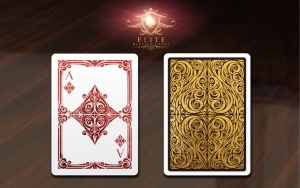 Yes, you’re right, this is the latest creation by Elite Playing Cards, the company linked to refined and attractive designs that, while exploring other styles, has become a reference in this type of cards. 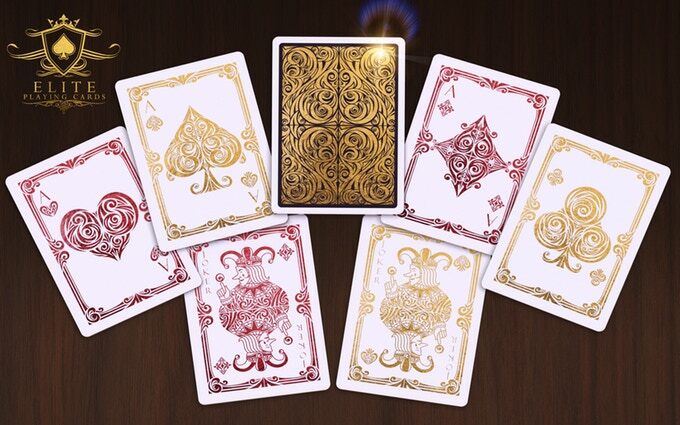 The inspiration for luxury and elegance has produced this impressive deck, with hand-made illustrations featuring elaborate curved shapes full of details. 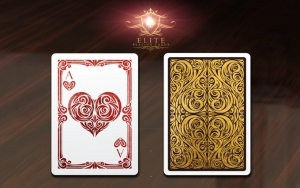 In the color scheme of the faces, the gold and red stand out on white backgrounds. The back also shows an elegant gold and black pattern with white borders. 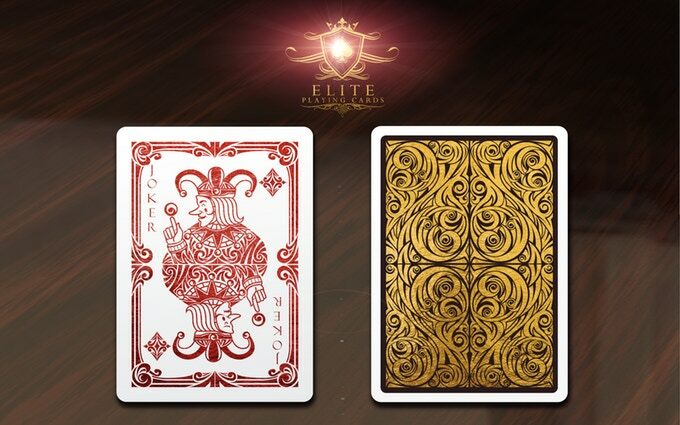 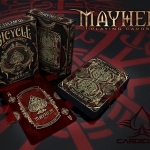 Undoubtedly, a high quality deck to be enjoyed that will delight players, magicians and collectors. This deck, part of the Signature Collection, will be printed by the USPCC with the highest quality standards: Q1 paper, Magic finish and gold foil in the tuck case. 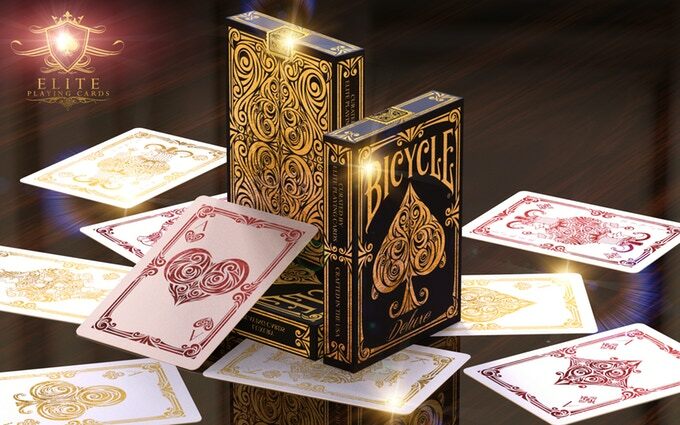 In addition to the standard edition, with a print-run of 5000 decks, there will be an ultra-limited limited edition of 288 Diamond decks, with gilded diamond foil edges and completely customized with signature and a numbered seal. 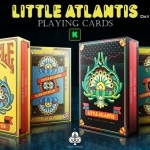 The campaign is already funded so if you want to get yours, you can visit the project website and raise your pledge.